It promised to be an event of a spectacular nature seldom before seen in Australia. 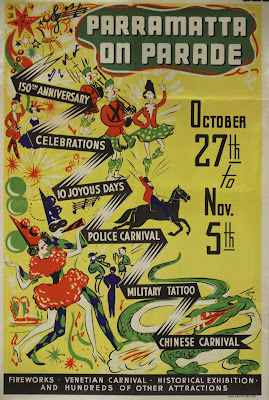 Ten days of pageantry and carnival at Parramatta from 27 October to 5 November 1938 to celebrate the 150th Anniversary of the second oldest settlement in Australia. A management committee made up of leading figures from the district was formed a year before the event to begin the final preparations for an event that promised to produce a "galaxy of entertainment and historic features". It was an impressive array of entertainment which included a, Military Tattoo, Police Carnival, Chinese Fireworks Display, Dancing Under the Stars, Period Costume Garden Party, Venetian Carnival on the River, Swimming Fetes, Sports Gymkhana, Orange Festival, Street Parades, Massed Band Concerts, Grand Prix, and a Wild West Rodeo. 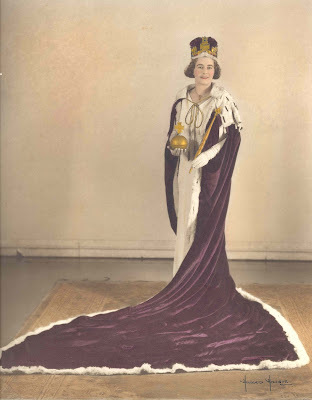 There was even a Coronation Ball in which the Queen of Parramatta would be crowned. On Friday 27 October, 1938, Mayor Irwin presided over the official opening ceremony for the sesquicentennial celebrations with the crowning moment being the proclamation of Parramatta as a City. On Saturday over 200,000 people lined the streets of Parramatta to witness the highlight of the celebrations, the Pageant of Progress Parade through the city. The parade, led by 18 mounted troopers, travelled down Church Street starting from Boundary Street to Ross Street. They were followed by nearly 300 entries made up of historical floats, horse drawn vehicles, marching bands, industry, business and government floats all playing a part in telling the story of the development of Parramatta. 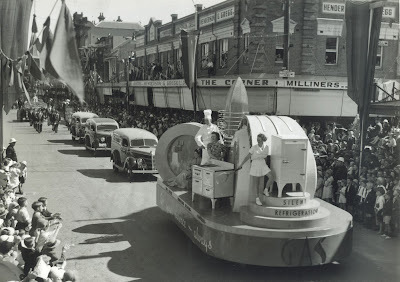 Floats of every description including "The Cavalcade of the Golden Fleece" depicting Australia's first sheep farm, the Lennox Bridge, Granville Swimming Pool, Parramatta Hairdressers Association, and Alsatian dogs. No organisation or landmark from the area seemed to be missing from the parade. 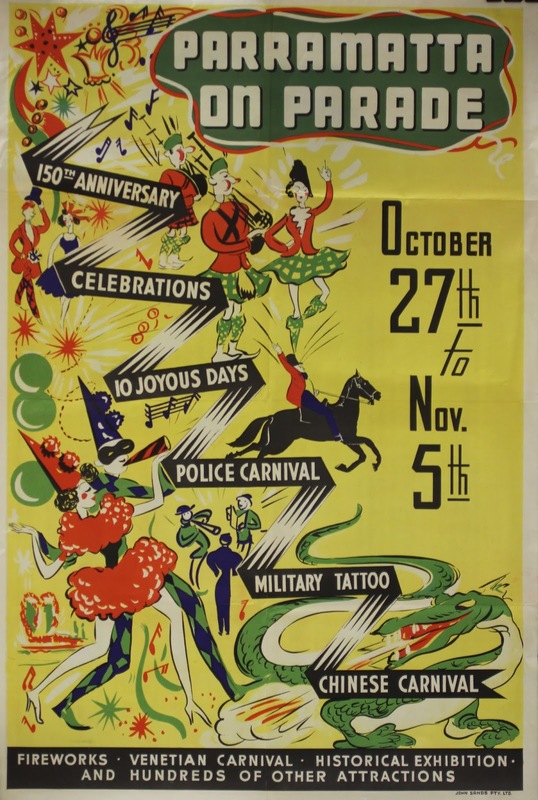 The parade ended at Parramatta Park where spectators were treated to a carnival which included a motor cycle polo match, a circus and vaudeville acts. The evening featured a massive Chinese fireworks display, dancing in the streets and a donkey polo match at Cumberland oval. The Military Tattoo provided a spectacular display that thrilled the 6000 strong crowd with its recreation of the battle of Vinegar Hill, motor cycle acrobatics by the army signallers, and the air bombing of a mechanised column supported by the scream of air raid sirens. On the Tuesday night Miss Winifred Perkins, who bore a strong resemblance to Queen Elizabeth, was crowned the first Queen of Paramatta. The occasion was held at The Rivoli and featured all the pomp and ceremony, including trumpeters in white satin knee breeches and plumed hats, that is usually associated with coronations. 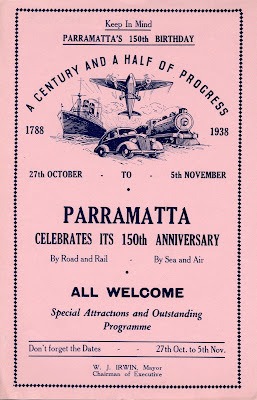 The celebrations appeared to be an outstanding success, for which Parramatta took great pride, and still today the event is remembered as the ocassion Parramatta became a City. Imposing Pageant of Progress Through the City. (1938, November 2). The Cumberland Argus and Fruitgrowers Advocate p. 14. 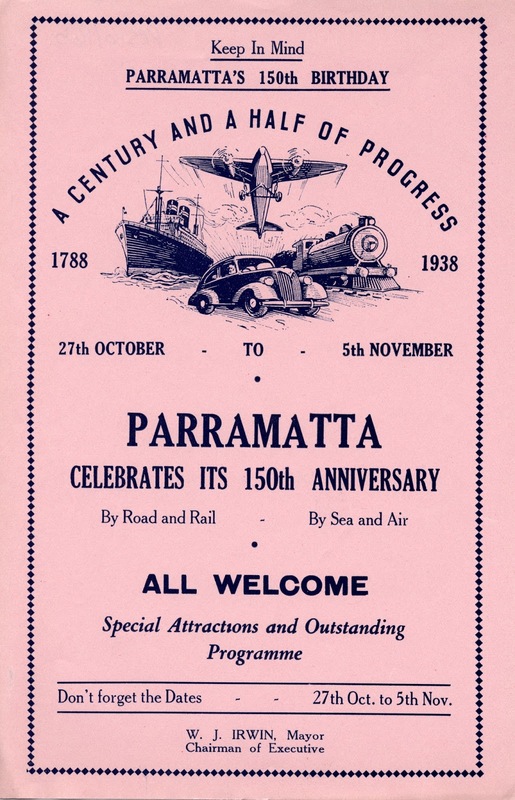 Parramatta Celebrates its Foundation (1938, October 31). The Sydney Morning Herald, p. 12. It certainly was an exciting celebration. I met my wife at the Rivoli in Church Street Parramatta 1956 when it was a popular Saturday night dance hall, with a large band playing on the stage. Do you have any photographs of the Riv? Thanks for your comments John. I had a look through our collection and could not find an image of the Rivoli. You wouldn't have a copy would you? I have a photo taken from inside the Rivoli in 1964 when I was six years old and attending a primary school dance. Hi John - that sounds really interesting - would you be up for donating a digital copy of it to the Heritage Collections?